20 Mac 2011 is a date that should not be forgotten. This was my fourth participation (please refer HERE, HERE and HERE for my previous participation) in supporting the culture of reading among the Malaysians. Although it refers to LRT, but this 'cool' culture is not only refer to that particular public transportation, but reading can be done everywhere~! As previous programmes, there will be no ribbon cutting, no protocol, no special ceremony, even though there are special person, acknowledged participants, and respected book readers joined on that day. 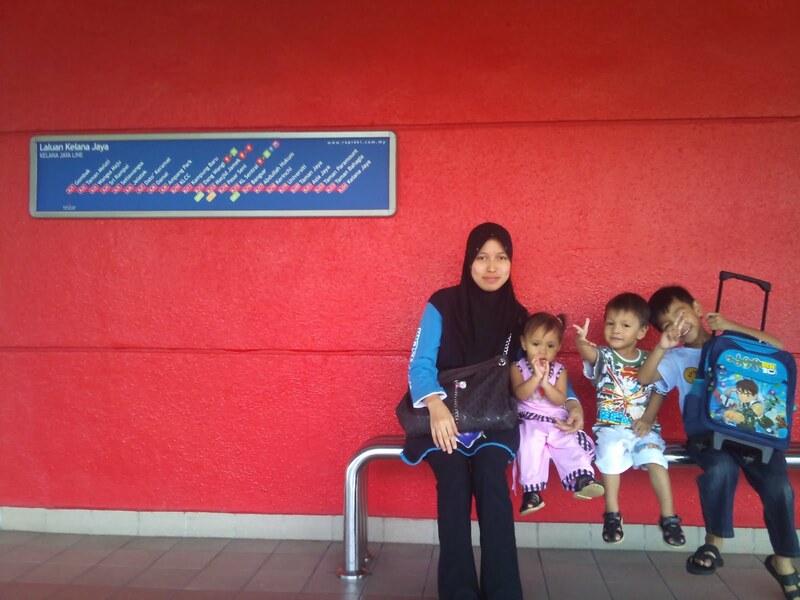 We gathered at Terminal Putra around 10.15 am. This time, at first I planned to go alone because I'm sure that I will meet many new friends there, but I also invited my friends to join us. Luckily, one of my friends, she also my colleague at IIC, want to join and will bring her 3 children, moreover after this she will move to Kedah and work there. 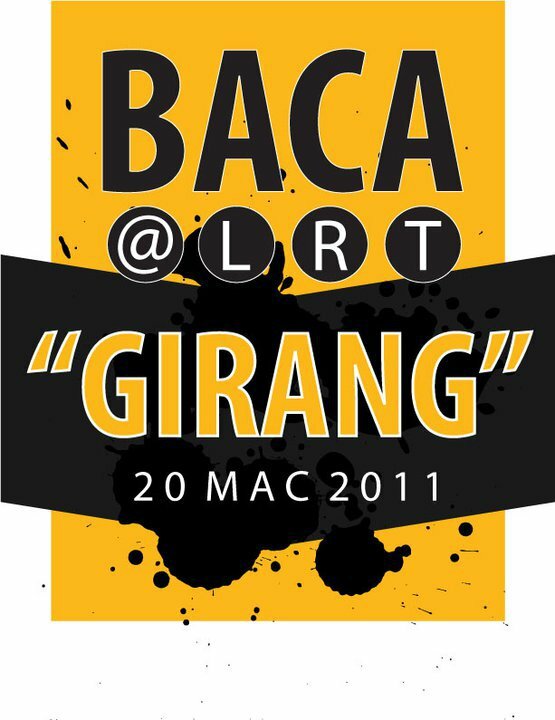 So, it will be her last time to use LRT before she moved to Northern state. Liza and her two sons and one daughter. As usual too, we just focus in reading like nothing happened. Read and read without wasting our time. I brought a special book 'Risalah untuk Kaum Muslimin' written by Syed Naquib al-Attas, and it is a serious book that should be read by Muslims. What make me happy is I met new friends and they were book lovers like me too. Hope that this friendship is not for one day, but will keep in touch after this. Sharing from my new friends can be read HERE and HERE. This 'Girang' Day has a very special person that importantly to be acknowledged for his effort in establishing the first Booktown Movement. He is a Welsh bookseller, known for his contribution to the success of Hay-on-Wye as a centre for second-hand bookselling. He is also the self-proclaimed "King of Hay". Read more HERE. Please click HERE as well to see his book shop online. 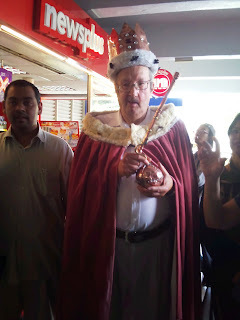 It was a great pleasure that he spent a day with all of us that morning. And a reason that I impressed with him is that he is a year older than my father and he is still strong enough in supporting people to read.. There was also special guest from International Booktown Organization in Malaysia. 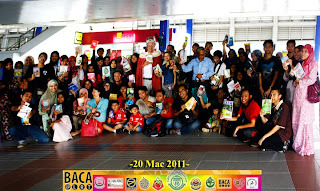 Now, all of us know that there are booktown in Langkawi and Malacca. Interesting~! 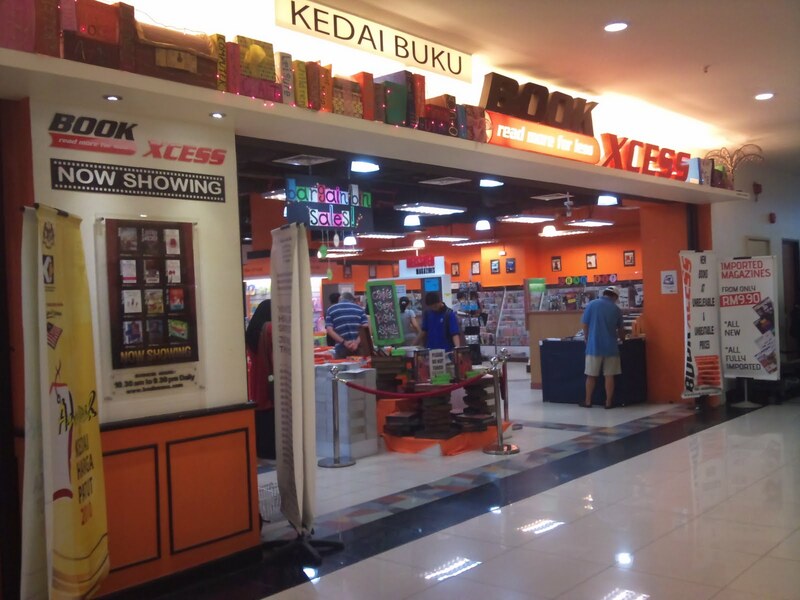 It is better if there will be a booktown in KL too..
Last but not least, Chinese proverb says "A book is like a garden carried in the pocket". So, bring a book is not enough, but read that book will create a real garden around us. Bring book every time, read book everywhere. 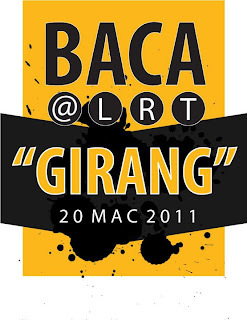 Video klip khas BACA@LRT yang telah berlangsung pada 20 Mac 2011 dengan kerjasama PTS, GPTD, PKPIM dan Team GKKI. Ok, u make me feel proud of u kak! Mantap! 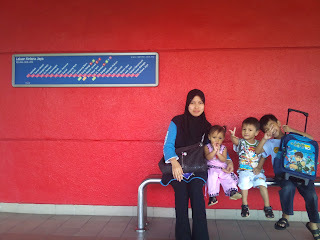 teringat saya waktu first baca@LRT last year..best..waktu tu ramai tercangang dlm LRT..nampak pelik..hehe..wish i could be there again..